If you don’t want to visit the Statue of Liberty, that’s your choice, and you shouldn’t be punched in the face because of it. That’s why police in New York City have arrested a man who’s accused of hitting a tourist and knocking him to the ground after a failed attempt to sell him sightseeing tickets. 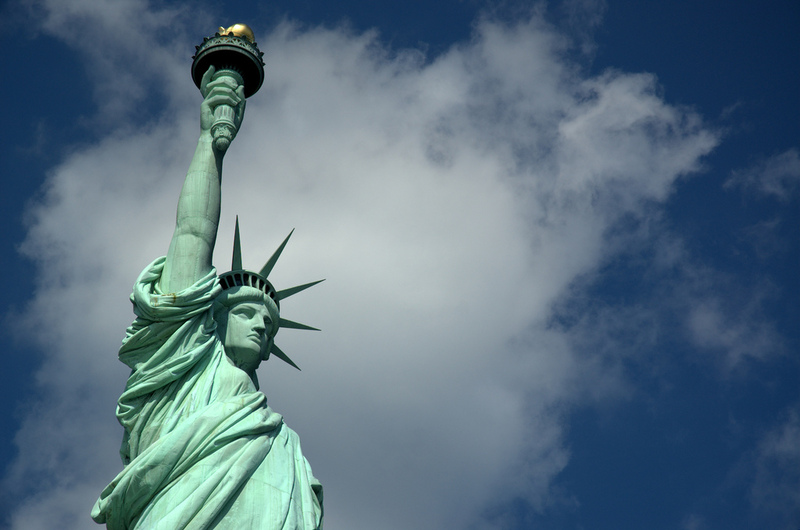 A couple from Arkansas on their first trip to New York City had made a few stops when they encountered a woman outside the Staten Island Ferry terminal on Monday who tried to sell them passes to see Lady Liberty, the New York Post reports. When the man refused, a male suspect, believed to be working with the female suspect, approached him and allegedly punched him in the face. He fell backward and hit his head on the pavement. He was rushed to the hospital with a fractured skull, and is listed in stable condition. Police arrested the male suspect near his home in Brooklyn early Wednesday after New York City Parks Department law enforcement identified him from several dealings they’ve had with him in the past, though he has yet to be charged. Authorities say they’re aware of the female suspect’s identity. The female tourist says she’s not sure when they’ll return to Arkansas, but hopes it will be soon. “We love this city. By far [it] has been the best vacation spot we have ever been. We are still in shock this happened,” she told the Post.